Who owns your history? Who gets to decide, that is, what is “real” history and what is politically motivated claptrap? For too long, academic historians like me have had it easy. We have glibly assumed our ability to define the boundaries of authentic historical thinking. A smart recent essay made that case once again. But as all of us should, the author needs to study the lessons of a different sort of history. After all, we have been down this road before. If you’re not familiar with the history wars, a quick look at the bumptious career of David Barton might help. Barton touts himself as a historian, tirelessly exposing the lies of left-wing academic historians. In short, he wants to prove that the United States was founded to be an evangelical nation. A few years back, Barton’s book The Jefferson Lies suffered an ignominious release. 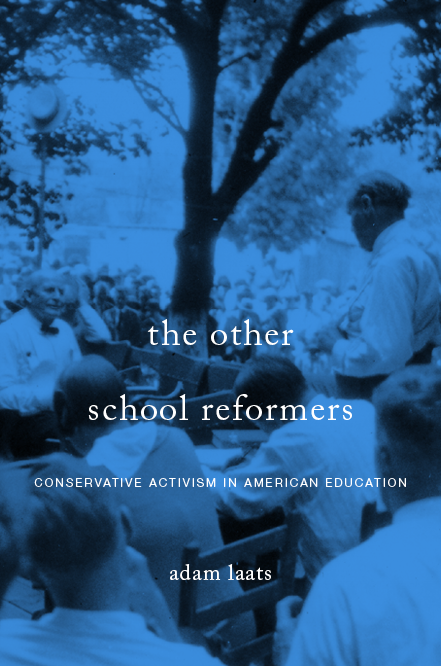 After the book’s initial publication, activist academics demonstrated the book’s many falsities and basic errors. The publisher recalled the book. Instead of retreating in embarrassment, Barton supporters doubled down. Most notably, Glenn Beck promised to re-release the book. What are we to think of this episode? Barton’s book was terrible history, by the standards of mainstream academic history. But it was enormously popular and no amount of expose could deflate its appeal among certain readers. For an earlier generation, gallopers like Duane Gish steadfastly refused to give up their claim to be the real scientists in the room. These days, Ken Ham does the same thing. As my friend and co-author Harvey Siegel argued in our book about evolution education, it makes no sense—logically or strategically—to try to prove them wrong. That is, it will always be impossible to prove that Gish and Ham are “pseudo” scientists. There is a better way to talk about the differences between mainstream science and radical young-earth creationism. It has been difficult enough for mainstream scientists and science pundits to accept this awkward and uncomfortable fact. It seems even more challenging for academic types in other fields. In the field of academic history, for example, mainstream professors have grown accustomed to being unchallenged in their ability to define real historical thinking from the fake kind. When challengers like David Barton raise their head, too many of us are only able to sputter. Too many of us are too confident that Barton’s blather will be rejected as low-quality scholarship. Consider, for example, a terrific recent essay by mainstream historian Patrick Iber of my beloved alma mater, the University of Wisconsin. In the pages of the Chronicle of Higher Education, Professor Iber wonders if there is any way to preserve his preferred sort of historical thinking in the Age of Trump. Is there anything that can be done to prevent basic historical facts from going the way of climate science, seen essentially as politically motivated rather than the result of serious professional study? Unfortunately, the short answer is no. Indeed, even asking the question shows how far behind the times we academic historians are. Mainstream scientists and science activists have been struggling with these sorts of challenges for a long time. Creationism and climate-change-denialism have long forced mainstream scientists to examine their claims and their public image. Academic historians have tended to be able to ignore such things. there is a market for pseudo-historical grift. Definitely. And to be as clear as possible, I agree entirely with Professor Iber’s anti-crappy-history position. However, we historians need to learn the tough lessons that mainstream academic scientists learned long ago. Namely, we can’t de-fang bad history simply by calling it “pseudo” history. We can’t assume that our credentials and mainstream institutional affiliations will make America listen to our pleas to reject crappy history. Seeing oneself as a part of history tends to be equalizing: It exposes the radical contingency of your own existence, which usually results in taking the humanity of others as seriously as your own. I wish that were true. But as the career of David Barton proves, seeing oneself as a part of history can result in very different conclusions. Historical thinking is not a wholly owned subsidiary of left-leaning academic types like Professor Iber or me. If academic historians aren’t more savvy, we risk getting run over by the vastly more popular sorts of history that are out there. How ironic that you consider the young-earth theory radical given the fact that evolution is the much more recent and “radical” theory, opposing scientific law that something cannot come out of nothing.